I took this photo in September 2009. 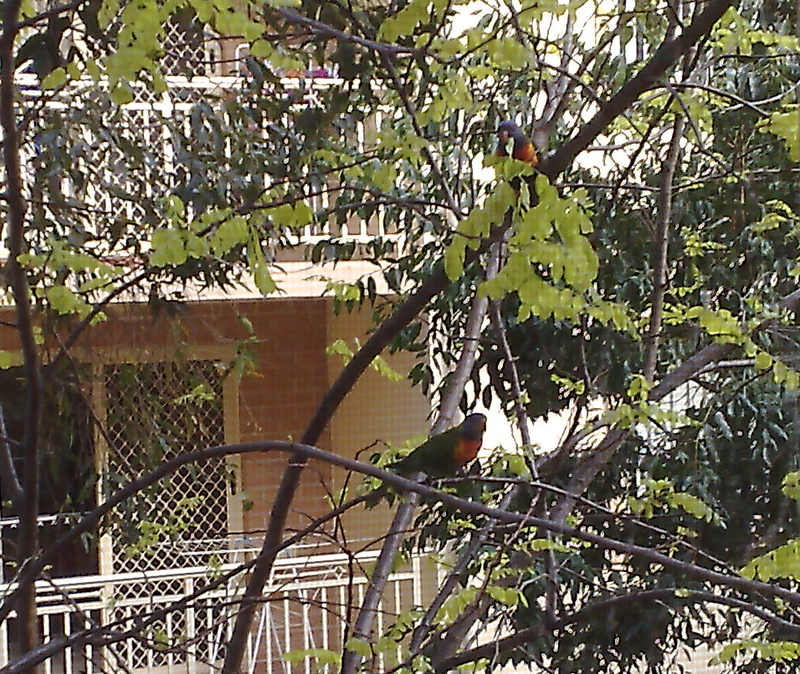 Today, as I was talking with my mother on the phone, and she exclaimed – “Ah, there are two parrots outside the window! Kissing!”. I thought they were gone, as I did not see them the last time I was there, I was sad, I didn’t even bid them a good farewell. How joyful I am to know that they are still there! I watched them almost everyday when I was living in that r…oom, they always came and went in harmony, and they would listen to me playing the guitar, they would kiss, how sweet! How lovely! They’re beautiful. I watched them, for nearly two years, whenever I was staring at them, I would lose myself, forget my sorrows and my whole world becomes sweet and serene, I would smile. Now it is February 2013, I’ve known them for three and a half years, they are still together, they’re outside my window, on those green branches, kissing. I wonder if I’ll be able to see their children, their children’s children… Oh my dear dear little birds, how my love for you is beyond any expression!